Explore museums from around the world, discover and view hundreds of artworks at incredible zoom levels, and create and share your own collection of masterpieces. A great website for students interested in photography! 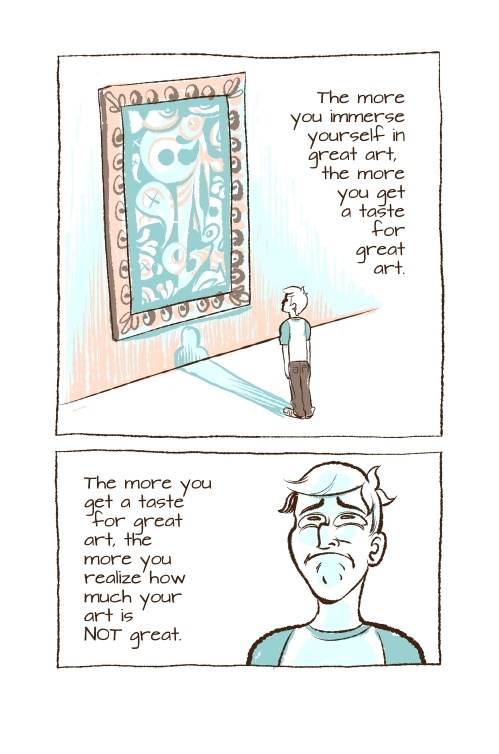 Great article, in comic book format, for the intermediate student who loves art and loves to create, but is often their own worst critic and figures their art just "isn't good enough". Before you can truly succeed in art, you must first accept failure as part of the learning process.